Why is it that a car rental might cost you as much as $300 one weekend and just $50 the following one with the same company? Such price variations are common in the car rental industry, according to Gary Leff, the founder of the travel deals site viewfromthewing.com. “Car rental prices constantly go up and down in big leaps,” he said. DON’T BOOK A PREPAID RENTAL. Some car rental companies offer a small discount if you prepay, but Mr. Leff advises not going that route because you’ll lose the opportunity to save money if rental prices drop before your trip starts, which they usually do. Upon making your reservation, he suggests going to AutoSlash.com, a site that tracks car rental prices, and adding your reservation details. The site will keep track of price changes on your rental and also scout competitors’ prices. Users will get an email when a lower price for the same rental becomes available and will have an option to rebook their reservation. RENT LONGER TO SAVE MORE. Logically, renting a car for three days should be cheaper than renting one for a week. But it’s often cheaper to rent for a longer period, Mr. Leff said, because business travelers book shorter rentals and aren’t as price sensitive as leisure travelers, who tend to book longer ones. “The industry knows this and prices rentals accordingly,” he said. But he says you must keep the car for the entirety of the rental because agencies can re-price rentals to the higher price if you return it early. AVOID RENTING AT AIRPORTS. Rental agencies with airport locations charge a daily airport tax — as much as 25 percent of your entire rental — if you pick up your car at the airport. 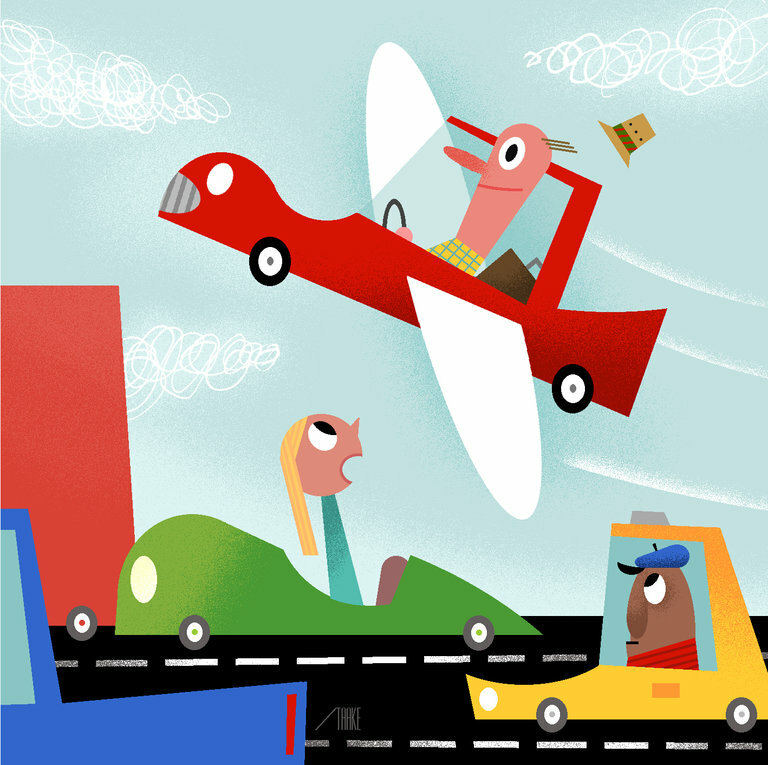 Save money by renting with the same company and picking up your car away from the airport. And, since the airport tax is charged only on rentals picked up there, not those dropped off, you have the option to return the car at the airport location. USE HOTWIRE.COM FOR DISCOUNTS. Hotwire.com offers rentals at up to 50 percent off what renters would pay if they booked with a company directly. Prepayment is required, and this is the only instance in which Mr. Leff recommends a prepaid rental. “The downside is that you don’t know which company you’ll be renting with until you pay, but it will be one of the major brands such as Hertz or Avis,” he said. CONSIDER LESS-OBVIOUS BRANDS. While Hertz, Avis, National and Enterprise are popular brands, there are several dozen smaller companies, such as Fox Rent a Car and Payless Car Rental, that often offer rentals at cheaper prices because they’re not as well-known. The downside? “They’re usually located farther away from the airport than the bigger brands and may not have a frequent renter loyalty program,” Mr. Leff said. This entry was posted in General News, Rental Car Relocation Advice and tagged car rental, rental tips by Sheldon Nesdale. Bookmark the permalink. It is great that thanks to you I was able to learn how to save quite a lot of money on such a service as car rental and this is a good item of expenditure.